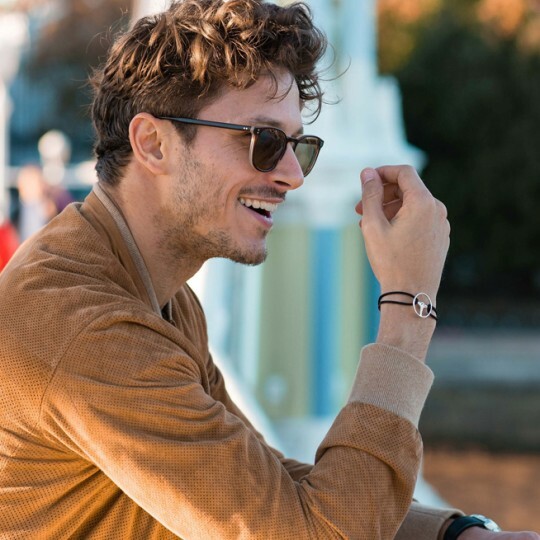 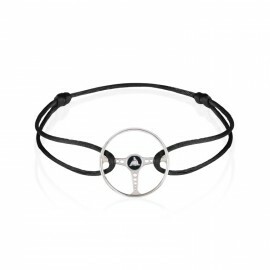 Featuring a sterling silver classic steering wheel at its centre the Le Mans Bracelet is a stylish a.. 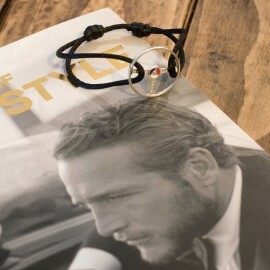 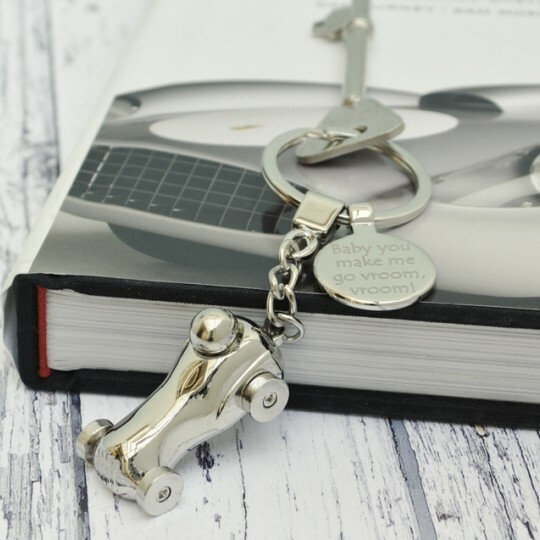 Featuring a miniature sterling silver Porsche 911 wheel at its centre the 911 Bracelet is a stylish .. 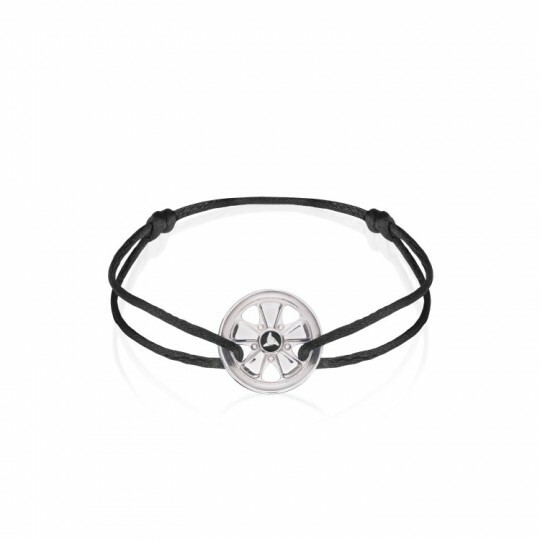 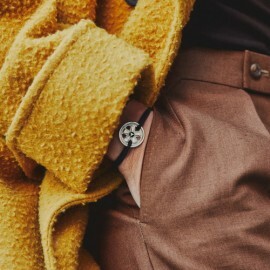 Featuring a sterling silver classic steering wheel at its centre the Revival Bracelet is a stylish a..
A luxurious and wonderful treat the sterling silver steering wheel keyring is a very special g..
Named after the famous Berlin track the Avus Belt is a combination of leather, elasticated cotton an.. 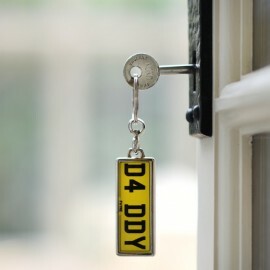 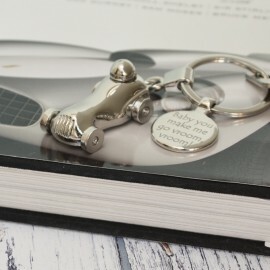 Perfect for the car keys a miniature classic racing car on a personalised keyring. 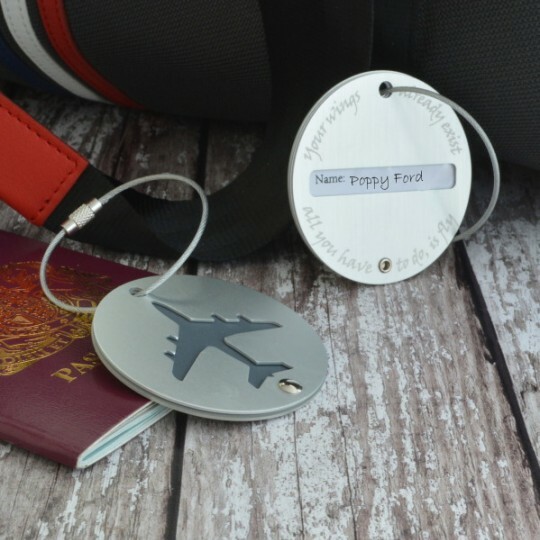 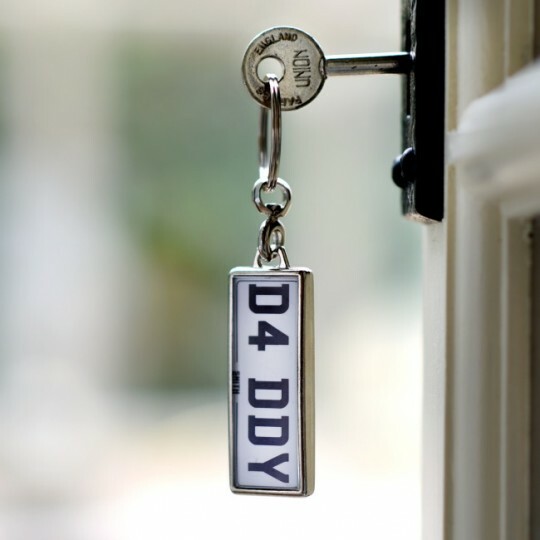 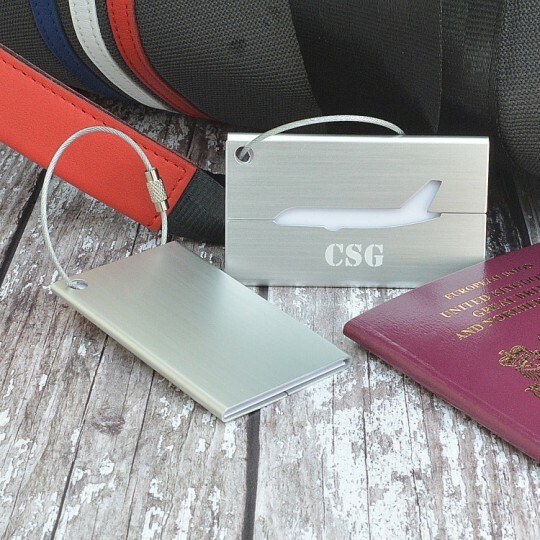 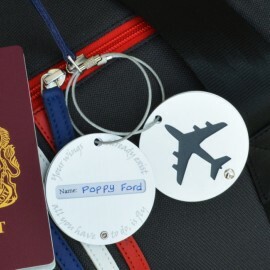 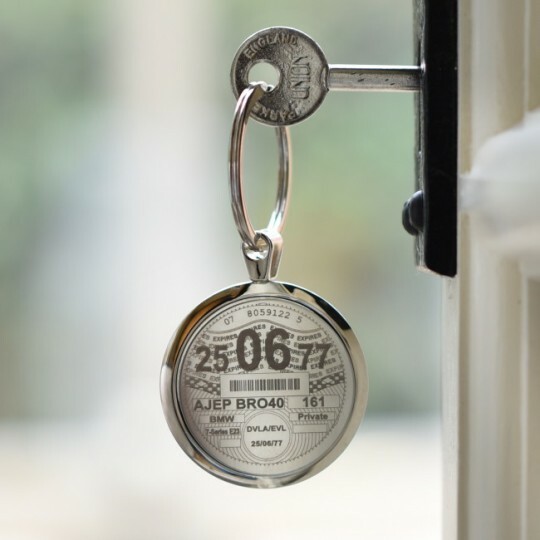 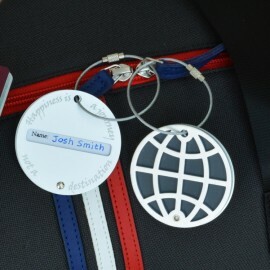 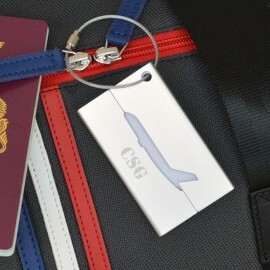 A great gift f..
Help them to keep their keys and their memories with our personalised 8GB USB keyring featuring a ca.. 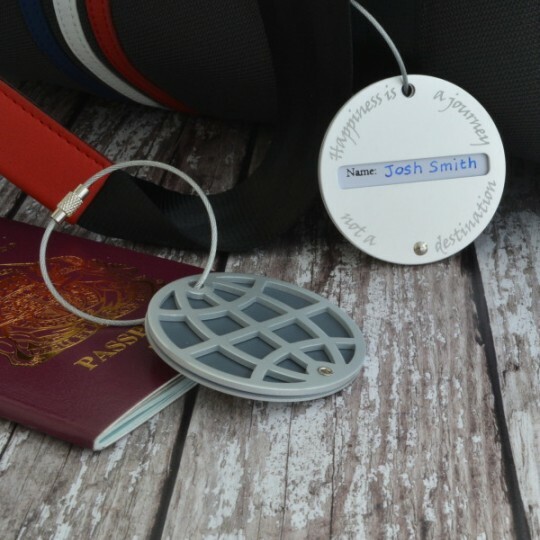 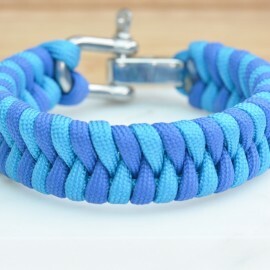 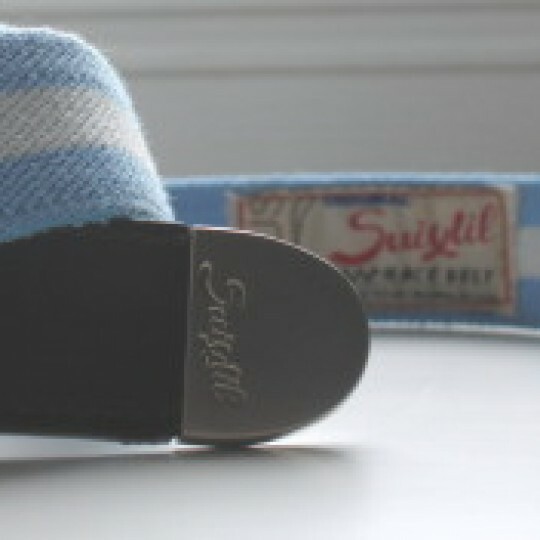 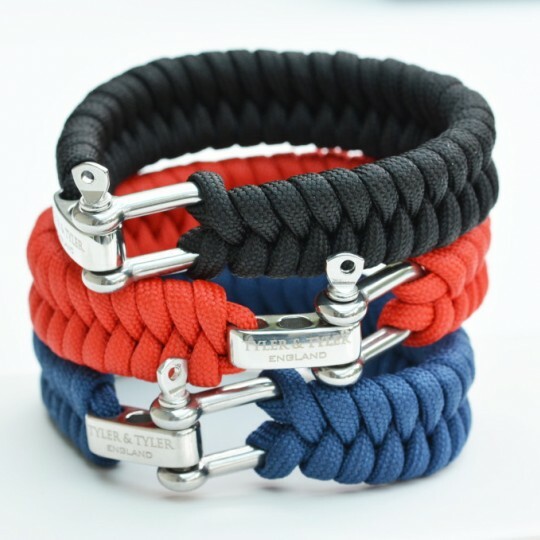 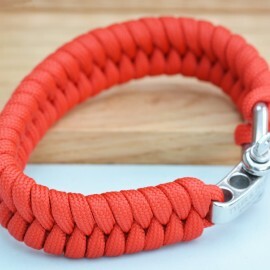 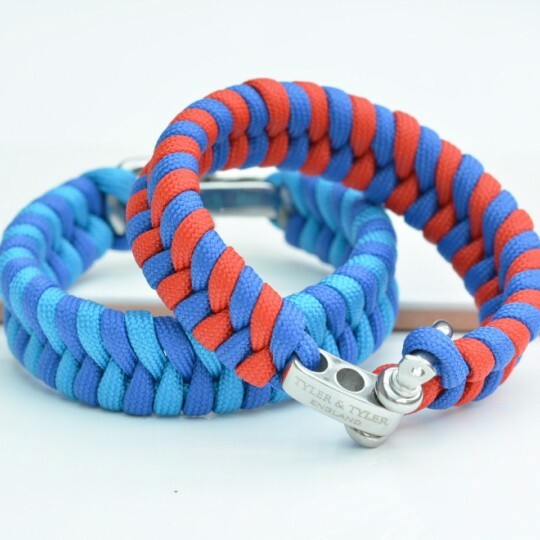 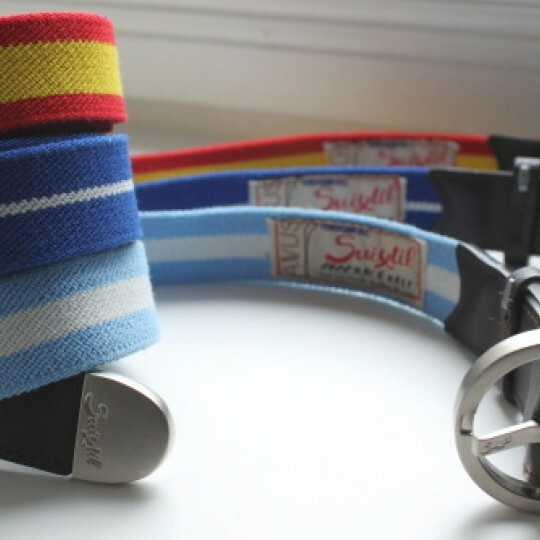 Perfect for the traveller whether you're going by car, boat or plane, a personalised luggage tag fea..
A chunky men's woven wrist band with a stainless steel shackle fastening.The Shackle Wristband comes..
A chunky men's woven wrist band with a stainless steel shackle fastening.The Zig Zag Shackle wrist b..
A striking leather wallet featuring a printed image of classic motorbikes on the outer cover. 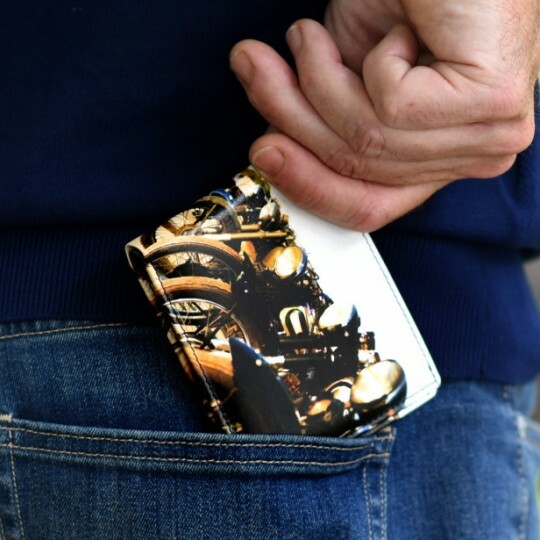 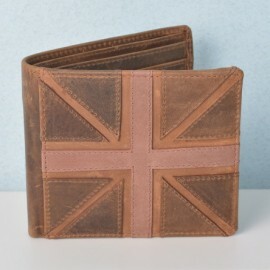 St..
A great men's leather bi-fold wallet with an antiqued finish throughout. 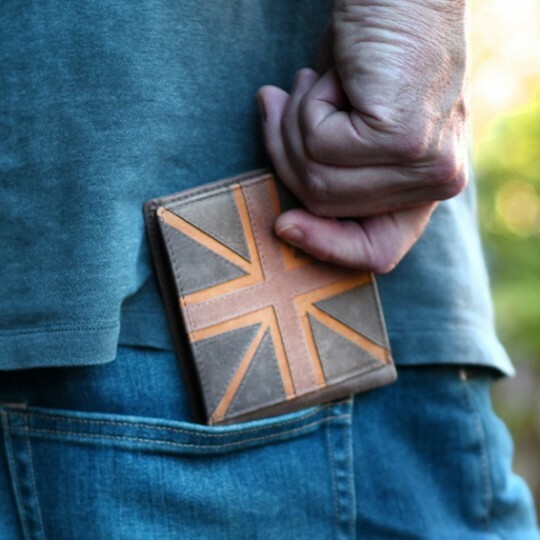 The Union Jack design is ma.. 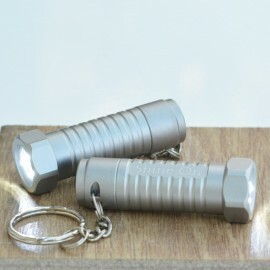 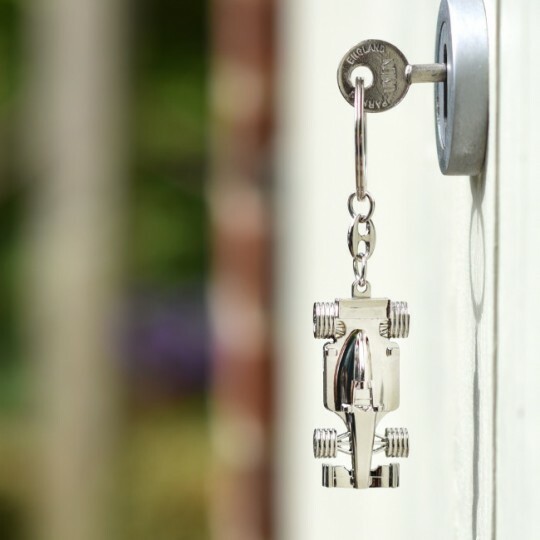 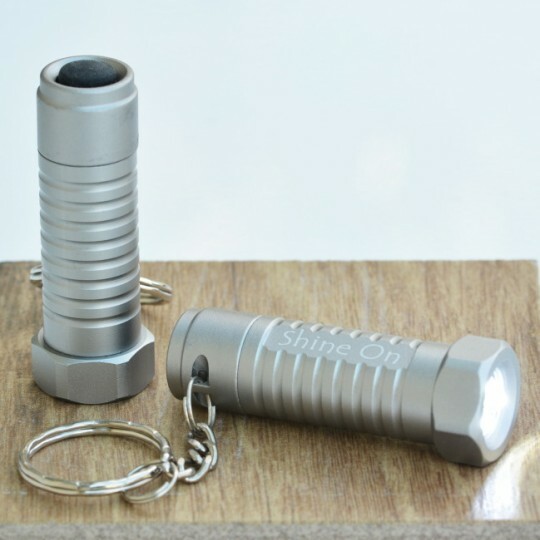 Personal and practical the Bolt Torch keyring makes a great gift for any man.The metal torch keyring..
Race ahead with this great keyring. 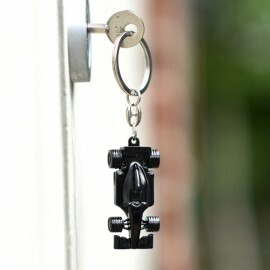 Modelled on an F1 car and available in black and in polished chr.. 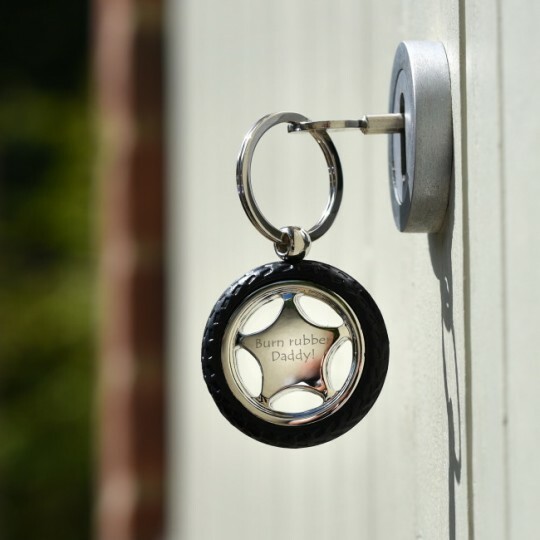 Perfect for the car keys a replica car wheel on a keyring. 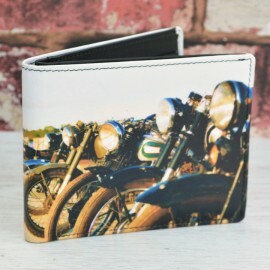 A great gift for any car loving man th.. 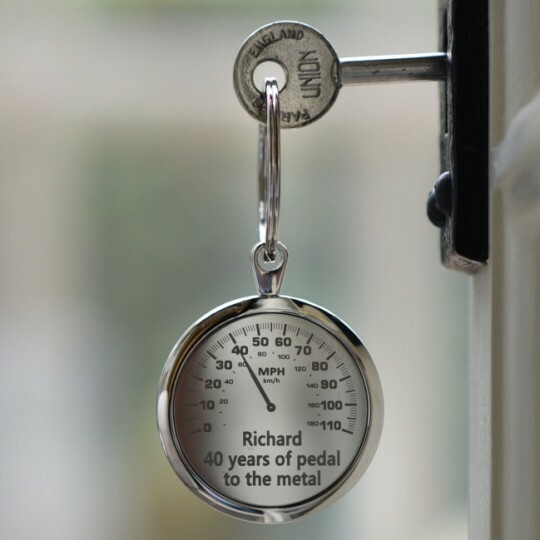 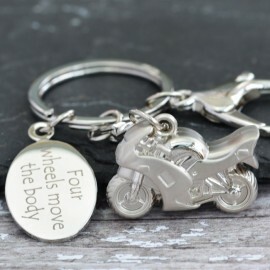 Perfect for the motorbike keys a miniature motorbike on on a personalised keyring. 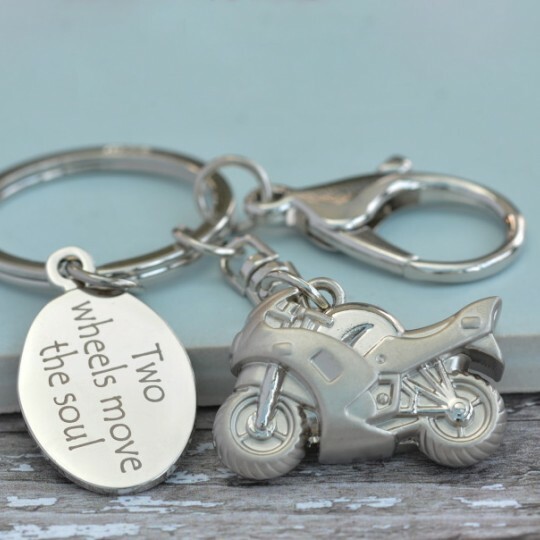 A great gift f.. 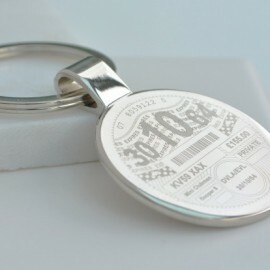 Perfect for the car keys a replica petrol can on a keyring. 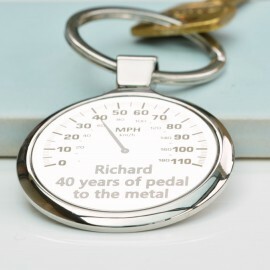 A great gift for any car loving man t..